A few weeks ago I was talking to Matt’s brother Zack about a pre-workout powder he’s been using when he goes to the gym. He said it helped get you pumped up for the workout ahead. I was rather intrigued, however not enough to go out and buy some at that moment. A few days later he had 2 free samples he had gotten for me. I sat on them for a while and finally tried one of them when I did a 5k earlier this month. 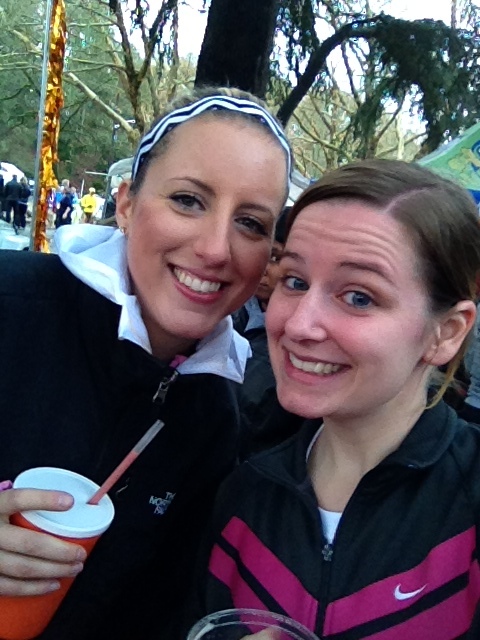 Unfortunately, I drank it too early and I was wired on the way TO the run and not during the actual run. Fail. This past week Zack came over to cut Matt’s hair and brought me a present. It’s a pre-workout powder called Assault. Don’t worry he didn’t buy that whole thing for me. He had been using it but it still has a bit left for a few more workouts. I decided to try it on Wednesday after my clinical as I’d been up since 4:40am and was running ragged after I got off. 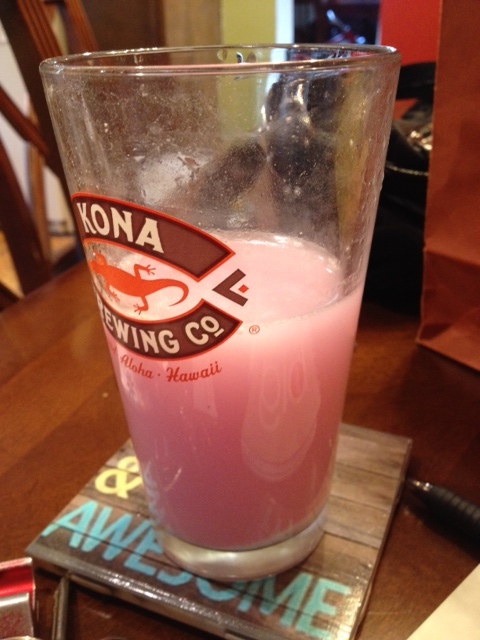 I mixed it with water and drank it about a half hour before I decided to go on my run. An interesting side affect I get is itchy hands and sometimes even an itchy face. Zack says it’s the Niacin and that’s really when I know it’s beginning to work. That day, I ran like I had never run before. I was so jacked up, no one could stop me, nothing hurt, it was amazing. Then I came home and had the most amazing shower of my life. And when I dried my hair, my hair had never looked better. I almost felt drunk. How else could you describe all this? I felt no pain. It was amazing. Although I did feel a bit jittery later and slept like crap that night. Maybe if I didn’t drink it at 230 in the afternoon I’d be set. Regardless, it was great. 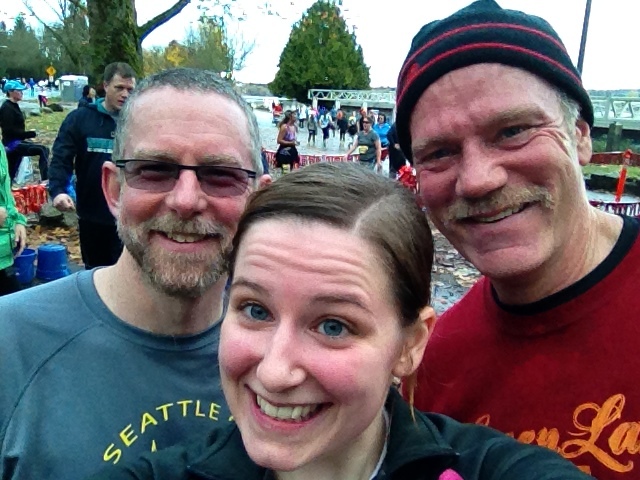 On Sunday I volunteered and ran in the Green Lake Gobble, a Thanksgiving 5k that takes you around Green Lake. My friend Tricia had convinced me to volunteer and it was nice because you received a free bib for the run. Being unemployed, that was a plus for me. I had asked Matt’s biker group of guys if they wanted to volunteer and run with us because during the off season most of them like to stay fit with a few 5k’s here and there. Our friend Sean, was kind enough to volunteer with me. We had to be there at 730 to help with registration and after a late night of drinking with the biker group and a crappy night’s sleep, the last thing I felt like doing was getting out of bed at 6am on a Sunday. Especially when I heard it – the rain. Yep, it was pouring. Typical Seattle fashion – but worse. We arrived at the site pretty much already soaked through from the walk from our cars. I was just standing under the registration tent thinking how dumb the whole thing was and that we should just leave and go home. But we stuck through it and though it was rainy and cold, the rain eventually let up and it turned out to be kind of fun. Also, my dad who had agreed to run but not volunteer, was kind enough to bring me a new pair of socks. Let me tell you – Forrest Gump taught me a lot of things in life. It is one of the best movies ever made. But one of the most important lessons that Lieutenant Dan taught us that I have found to be completely true is to keep your feet dry and always change your socks. The second I changed out of my soggy, wet socks and into dry ones I felt like a new woman. My attitude changed drastically. It was amazing. On top of chugging down some Assault, I was ready and pumped for the run ahead. Sean, myself and dad right after I had finished my run. I ended up running in 34:15. I’m not sure how great that is compared to what I typically do as I don’t usually time myself but it’s nice to now have a base time to compare with my next 5k’s. My main goal is to just not stop and walk, which I didn’t. So I was satisfied, despite the fact there was a brother and sister of about 7 and 8 years old who booked it and finished ahead of me. But I digress! The whole morning was an interesting experience. I would probably volunteer for a run again, but I’m not sure how soon that will be. It was a bit exhausting getting up so early to volunteer and then go run. Thankfully, I had my Assault to get me through the miles! That assault stuff sounds a little crazy. Not sure how I feel about getting itchy from an energy drink. Maybe you’re extra sensitive to it since you don’t drink coffee either! Its not an energy drink but like a pre workout powder. It wasnt iust me it happened to zack knew what i was talking about.